Motorola is all about to introduce the Motorola Moto G7 series officially. 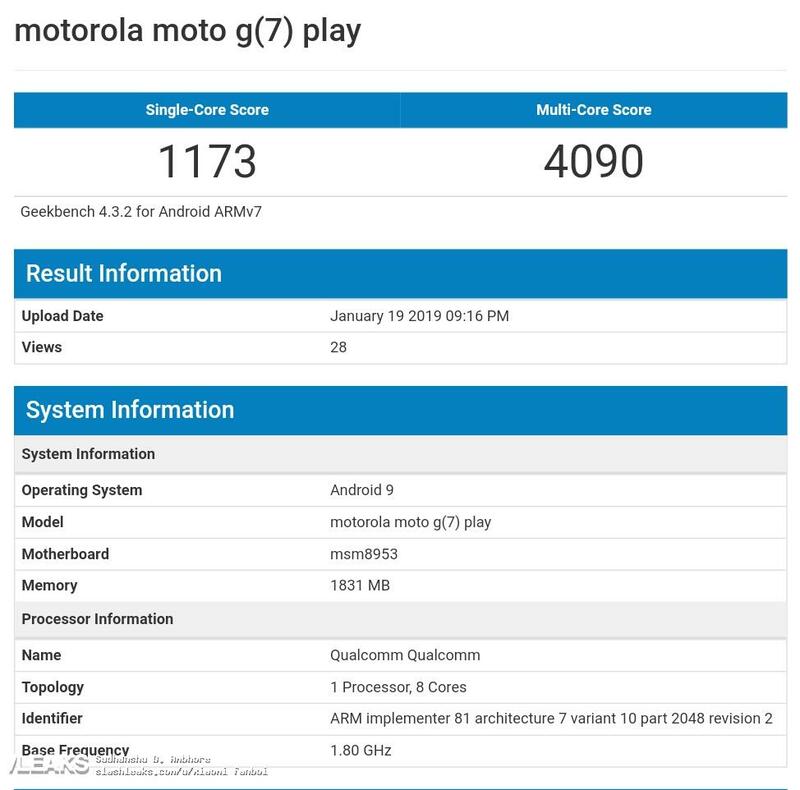 Now the upcoming Motorola Moto G7 Play smartphone passing through the benchmarking site Geekbench. The device is equipped with 2GB of RAM in it. It is also equipped with an Octa-Core Qualcomm Snapdragon 632 mobile platform.